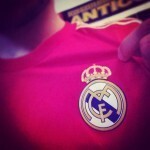 Nice nick Hala Madrid ! What kind of musical instrument do you like best? If possible send a video of a song from this instrument. Which of these three do you think brings more knowledge and wisdom? hey bud, i think u need to settle down with ur status updates.